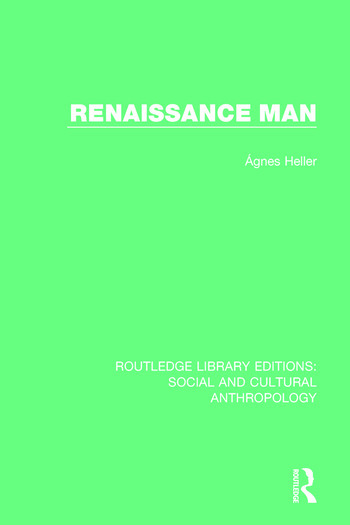 Introduction: Is there a ‘Renaissance Ideal of Man’? Part 1. Uneven Development Part 2. Antiquity and the Judeo-Christian Tradition 1. Secularization 2. A Glance at the Past 3. Stoicism and Epicureanism 4. Ecce Homo: Socrates and Jesus Part 3. Ethics and Life: Man’s Practical Possibilities 5. Everyday Life 6. Time and Space: Past-Orientedness and Future-Orientedness 7. Individuality, Knowledge of Men, Self-Knowledge, Autobiography 8. Measure and Beauty: Emotional Ties 9. Values and Ethics 10. Social Philosophy, Politics, Utopia 11. Fate, Destiny, Fortune Part 4. Philosophical Anthropology 12. Nature and Man 13. Work, Science, Techné, Art 14. Knowledge; Body and Soul 15. What is Man Capable of?